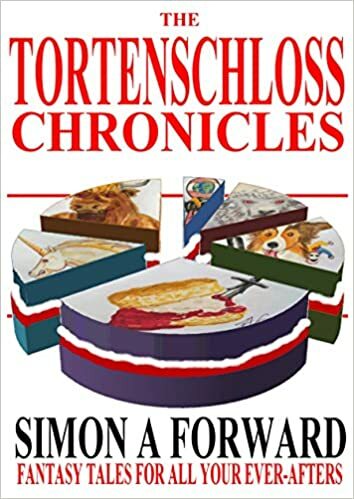 Welcome to Tortenblog, where I’ll be posting writings featuring characters, creatures and places from the world of Tortenschloss, a fantasy adventure novel of mine, for Young Adult readers and up. Gormenghast with multi-coloured frosting, a cherry on top and dark sprinkles. Tortenschloss is an everyday city in a once-in-a-blue-moon world. The perfect place to hang out between adventures. It’s home to PEACHY KEANE, rollerskating newspaper delivery girl. And her friends: SHINVAR, fearless Amazonian Paladin; LEO DE LACEY, chivalrous Musketeer; KIALA, vexed and studious Apprentice to a Sorcerer who has been turned to stone. And SLUDGE, sewer demon from the Seventh Netherplane. But the Tortenschloss Tribune is packed with the exploits of too many adventurers. Leo is ready to retire from adventuring. So their next quest needs to be for something different, something truly *novel*. Riding in across the plains comes GENGHIS, a Fargolian warrior mounted on his fearsome war giraffe. Will he be a new friend? Or foe? For now, he brings the opportunity for adventure: the search for his missing village. Meanwhile, trouble brews. Roguish jeopards wreak furry havoc in the streets. Gryseult, Pirate Queen, returns from the North with her Ice Armada, set to leave no stone standing. Except those who meet her petrifying gaze. Darkness threatens to engulf the city. Somewhere a little to the left of the world we know, there is a land that is not quite right. There, on the coast, lies the city of Tortenschloss, with its high crinkle-cut walls, towers upon towers in nests of trees, and long winding streets that would have been perfect for roller-skating if it weren’t for the cob-ob-ob-ob-obbles.